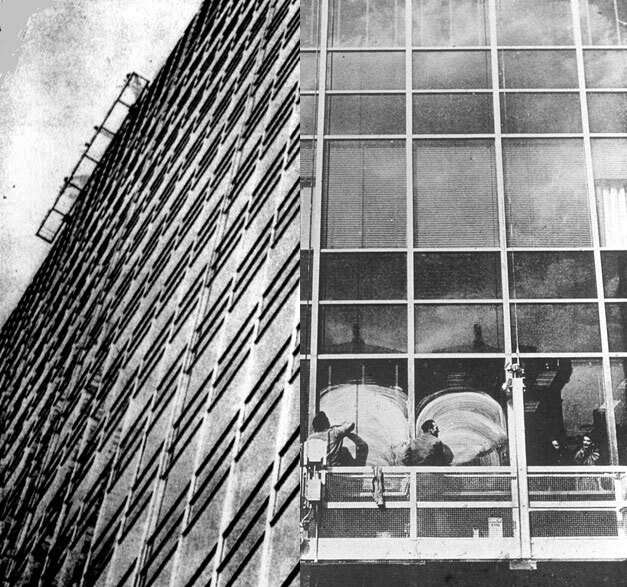 The dream of the “tower of glass”, whose origin finds linked to the figure and Mies Van der Rohe´s work since in 1919 drew the visionario skyscraper of the Friedrichstrasse, went to have in his resolution a problem so prosaico like unexpected. 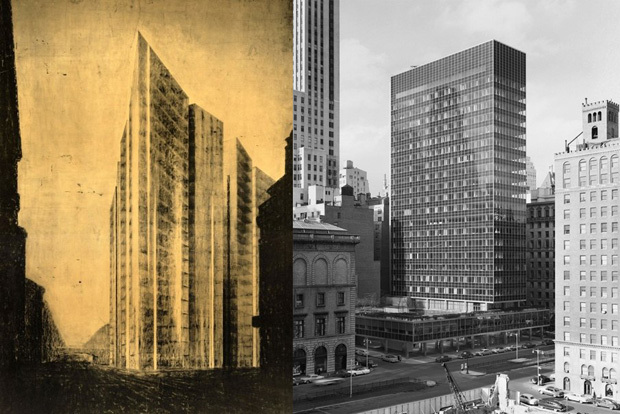 In 1950, when Gordon Bunshaft (SOM) and the Lever House of Charles Luckman heaved in the Park Avenue of New York, and his never before seen façade glazed sued an estanqueidad unsolved until then, arose the ineludible need to contrive a way to make possible the external cleaning. The efficient office of the SOM devoted six months of effort continued to find the way to resolve the problem in similar scale. It was in vain. 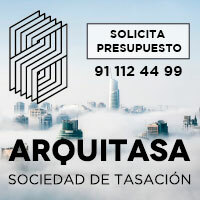 They had to resort finally to the engineers of Jaros, Baum & Bolles, commissioned of the installations of the building, in colaboracón with the Otis Elevator Company to invent the solution. 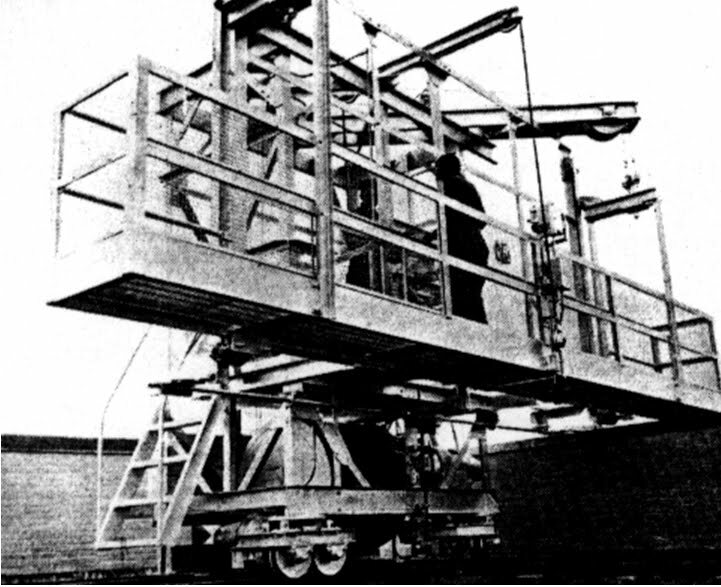 An ingenious mobile device on rails managed to suspend in the exterior perimeter a platform of cleanliness with the operatives inside. Gondola for cleanliness wall curtain. It is probable that one was happening to baptize “gondola” time later for his slender proportions and his soft oscillating movements. The press and the curious transients of the city of those years did not stop echoing similar spectacle. So surprising as only one. The architecture called was beginning then of “skin and bones”, a language of shades and thin dialectics between ethereal closings and new volumetric and structural solutions. The big surfaces of glass were going to be imposed in the whole western world as cultural and economic modal. The solution in that time designed, for simple and effective, today happens unnoticed. But she could not have been improved.